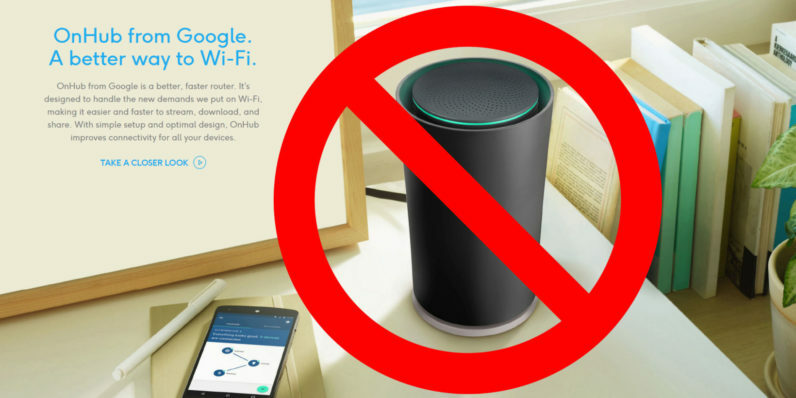 Google’s OnHub router was met with decent reception (heh), but a new report by Android Police indicates the company is looking to announce a new router alongside its upcoming probably-called-Pixel phones on October 4. It will simply be called Google Wi-Fi. The router will almost certainly include some of the OnhHub’s ‘smart’ features for simplifying connections and optimizing reception (although whether the OnHub really performed any better than similarly prices routers is questionable). But one big advantage over OnHub is that you will be able link multiple routers to create a larger, stronger Wi-Fi network. Android Police also suggests it will look like a “little white Amazon Echo Dot,” which would make it easy to hide and tuck away. No word on how it will interact with Google’s upcoming air freshener Home voice assistant – presumably also being launched on October 4 – but we imagine functionality will be closely intertwined. We’ve contacted Google for more information. While we don’t expect them to comment on a rumor, we’re curious whether it plans on keeping the OnHub around long-term if the new router ends up being real.